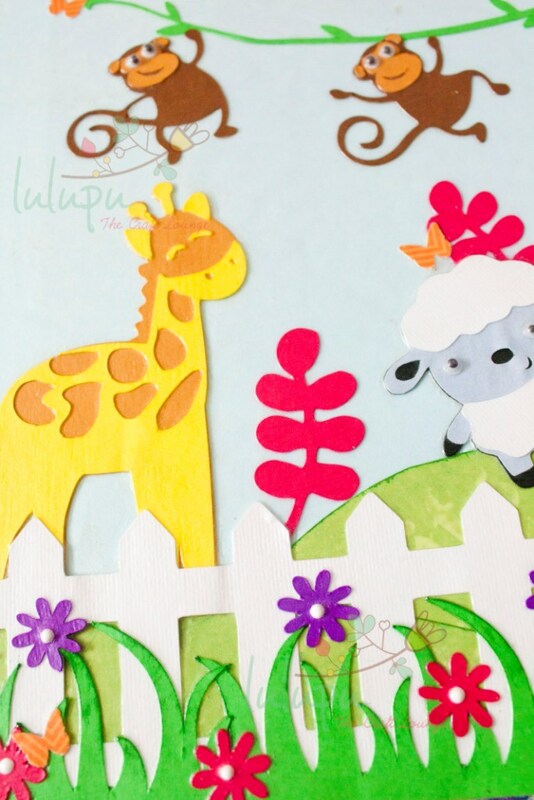 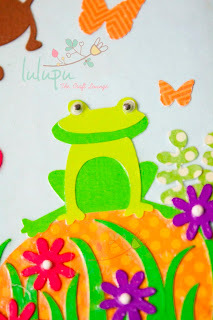 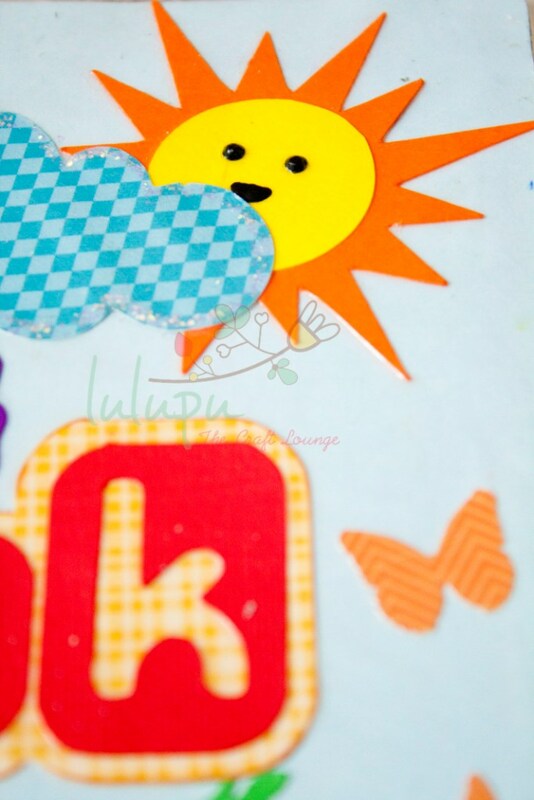 Am back after a long time but I really wanted to share this cute baby folder cover I have created on order for Lulupu.com. My client wanted a it to have a jungle theme with cute critter and lots of bright colours! 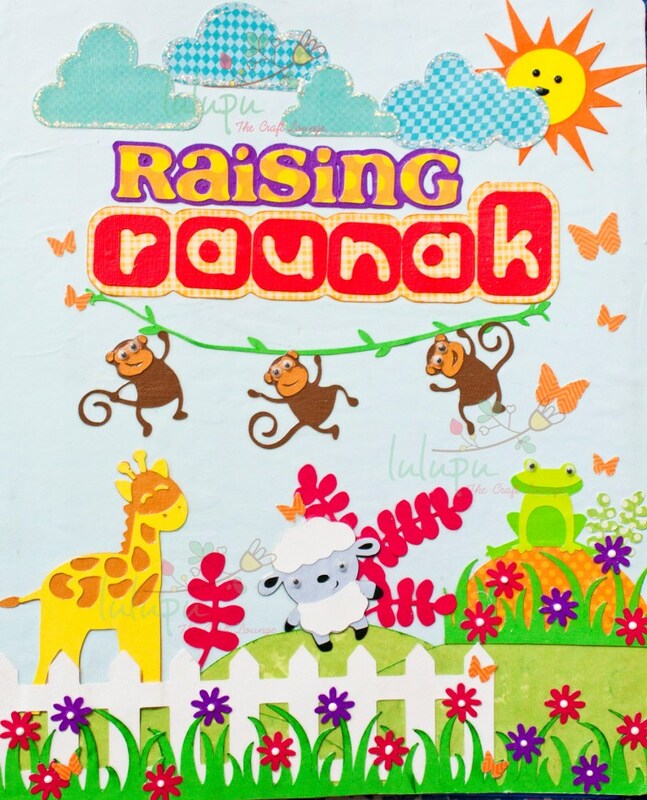 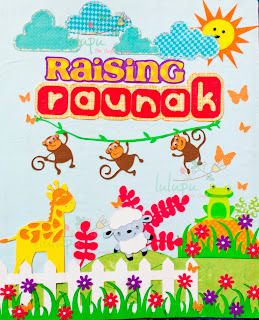 So she aptly wanted it to read as "Raising Raunak" I think it sounds so cute! its so nice..bright and colourful !!! 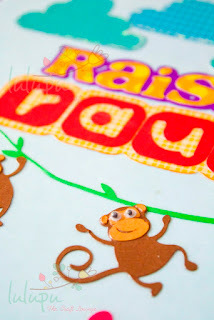 Such a cute scrapbook and I loved the title.love the details and each page has something different to offer.